Ink market in Bangladesh is growing parallel to the growth of printing and packaging material industries. There is significant demand of various types of industrial ink in Bangladesh, such as Flexo Ink, Gravure, Offset, Screen Printing Ink and Letterpress Printing. In this study, focus was mainly given on Flexo and Gravure ink as market size of those ink are quite substantial. The study covered ink producers, cement companies, packaging companies, importers, ink association and packaging association to collect all types of information regarding this industry. From the study, the estimated annual market size of Flexo ink in Bangladesh is 5444 M.Ton in volume and BDT 188.44 Crore in value and Gravure ink is 10,509 M.ton in volume and BDT 370.65 Crore in value. Out of 15 major ink producers in the country, 5 ink manufacturers currently produce Flexo ink and Gravure ink. The big users of Flexo ink in Bangladesh are WPP bag manufacturer companies. Bengal poly and paper sacks, Paragon Limited, Khan Brothers are major WPP bag manufacturers. The major ink users of Gravure are the food packaging companies and among them Premafelx, BRAC printing, Mecca Multilayer, Arbab Poly are the bigger ones. Some cement manufacturers produce their own packaging in their plants, they use Flexo ink to print on their packaging. Seven rings cement, Shah Cement, Desh Bondhu Polymer, and Tiger Cement etc. are some of the companies that are using Flexo ink. Some of the Gravure ink users import the raw materials from outside and hire chemist to make their own ink in Bangladesh. These packaging and cement companies directly import major portion of their Flexo and Gravure ink requirement. Ink and Thinner are complementary goods. Almost all of the thinner are imported from outside of Bangladesh as there are no good thinner manufactures here. From the study, the market size of Thinner for Flexo printing is 7777.14 M.ton / year in volume and BDT 145.24 Crore in value and for Gravure printing is 12892.77 M.ton /year and 232.75 Crore in value. Many big companies like Premaflex wants to inspire the local ink manufactures to make quality ink as the local ink is not yet as good as imported. They would prefer buying from local rather than import but as they really care about quality printing they still don’t buy. As Berger Paints has the technological capacity, so it can explore the whole ink market in near future. The study attempts to make an exploration of Ink market in Bangladesh. The study focused on this particular types of ink, as users of Flexo and Gravure ink is relatively big and the market is growing and it will also grow in the near future. Moreover Berger Paints is currently contemplating the possibility of producing this particular type of ink commercially. To understand the market for Flexo & Gravure ink, the study concentrated on four different stakeholders, which are importers (who import for trading in local market), users in cement industry, local producers of Flexo & Gravure ink and packaging industries. Four different questionnaires were used to for different segments. It was difficult to get a clear idea about the importers who trade ink. Firstly, there were no formal source like importers’ association or website to identify the importers who are importing ink for trading purpose in particular. From ink users, only 3 such importers could be identified. Most importers not only import Flexo & Gravure ink, but also many types of other inks and chemicals, thus Flexo & Gravure ink importers cannot be identified from customs source. Industry volume / value and market share of imported Flexo & Gravure ink is difficult to derive as many companies are importing ink as raw material for own consumption through “Bonded Warehouse” facility, but they are illegally selling in local market. Cement industry previously was fully dependent on the imported ink. Nowadays, the cement bag manufacturing companies are buying some portion of their requirement from the local producers. Local producers are lagging behind because of the high price of their product, some quality issues like their glazing, sharpness, longevity which are yet not able to satisfy the needs of the packaging companies. Importers are getting some “Bonded Warehouse” facility, so that it is tough for the local manufacturers to compete with them in terms of pricing. Packaging industry is more dependent on imported ink. Most of the packaging companies directly import the major portion their requirement of their Felxo and Gravure ink. Estimated current total size of the Flexo & Gravure ink market in terms of volume and value. Exploring Flexo & Gravure ink market dynamics. Future prospect of Flexo & Gravure ink including other inks in Bangladesh. Grades/ quality and prices of locally produced and imported “Flexo & Gravure” ink. Payment Structure and Credit Policy for the dealers and consumers of ink products. 5 local producers of ink in Bangladesh. From FBCCI ink association’s location and contact person was obtained the secretary and president of the Bangladesh Ink Association. Interviewed a supplier of raw materials to ink producers. Visited the famous local Ink traders called Comilla Hardware to get import information. Data collected from previous study. Newspaper reports on ink producers and users. Packaging materials manufacturer list has been collected from the members list of BGAPMEA. Cement industry list collected from CEMS conference papers and IDLC research reports. Additional data for future forecasting collected from CEMS conference papers. Prepared four structured questionnaires which have been considered as the major tool of conducting this research. Ink is a liquid or paste that contains pigments or dyes and is used to color a surface to produce an image, text, or design. Ink can be a complex medium, composed of solvents, pigments, dyes, resins, lubricants, solubilizes, surfactants, particulate matter, and other materials. The ink’s carrier, colorants, and other additives affect the flow and thickness of the ink and its appearance when dry. Printing inks are broadly distinguished by the printing process in which they are used. Letterpress and lithographic inks are known as paste inks and are of higher viscosity than the flexographic and gravure inks, which are called liquid inks. Various types of printing ink are used in Bangladesh. The major printing processes are classified by the method of image transfer and by the general type of image carrier employed. Printing inks are broadly distinguished by the printing process in which they are used. Flexographic and Gravure inks are called liquid inks and have lower viscosity. Letterpress and Lithographic inks are known as paste inks and have higher viscosity than the liquid inks. Flexographic printing is a direct, raised type, printing process in which the printing elements are higher than the non-printing parts of the printing form. Flexography (Flexo) printing uses a raised-image printing plate. Photopolymer, or rubber, plates are used to transfer the print image. Conventional liquid or sheet photopolymer plates are used for line art. Laser-imaged, direct-to-plates (DTP) are used for all four-color process, all duotone, and most halftone images. As the plate cylinder rotates, it comes in contact with an anilox, or ink roller, which inks the raised portion of the printing plate. The plate then transfers the ink to the web, or paper. The anilox roll is laser-engraved with thousands of recessed cells that fill up with ink. The doctor blade controls the ink transfer to the plate. The doctor blade wipes off all ink except what is in the cells of the anilox roll. Compared to offset printing, this method offers significantly more ink transfer. Flexography was first called aniline printing because early flexographic inks contained dyes derived from aniline oil–a liquid extracted from the indigo plant. These dyes were dissolved in spirits, making a quick-drying ink. The combination of a flexible plate, quick-drying ink, and the ability to print on such a wide variety of materials or substrates made this process excellent for package printing. Flexography is the major process used to print packaging materials. Flexography is used to print corrugated containers, folding cartons, multiwall sacks, paper sacks, plastic bags, milk and beverage cartons, disposable cups and containers, labels, adhesive tapes, envelopes, newspapers etc. Gravure printing is characteristically used for long run, high quality printing producing a sharp, fine image. Gravure printing is an example of intaglio printing. It uses a depressed or sunken surface for the image. The image areas consist of honey comb shaped cells or wells that are etched or engraved into a copper cylinder. The unattached areas of the cylinder represent the non-image or unprinted areas. The cylinder rotates in a bath of ink called the ink pan. As the cylinder turns, the excess ink is wiped off the cylinder by a flexible steel doctor blade. The ink remaining in the recessed cells forms the image by direct transfer to the substrate (paper or other material) as it passes between the plate cylinder and the impression cylinder. The Ink formulations of Flexo and Gravure are almost the same. Only in viscosity is the difference. Flexographic inks are liquid inks, rather than pastes, and are designed to dry quickly primarily by evaporation. Both solvent- and water-based ink systems are used extensively in flexography. Gravure inks are similar to flexographic inks except that ketones and aromatic hydrocarbons can be used as solvents, providing much greater latitude in the selection of binders. Gravure ink is used to print on polyester sheets of different types- PP, LDPE, HDPE. LLDP, BOP. These packages are used for dry food items, washing powders/detergents, non-food items, pharmaceuticals, cosmetics, chemicals. Local producers of Flexo & Gravure ink are not well established so far and their production capacity is not enough against the local demand of ink. At the same time direct importers of Ink are not the major suppliers among the packaging companies. Some big packaging companies are using the “Bonded Warehouse” facility for importing ink from outside and most of them are importing ink on their own as they said the local ink are not good enough to satisfy their needs. Recently some of the big cement companies are using locally manufactured ink and a good number of packaging companies those who used imported ink before, are now using local ink to ensure smooth distribution of the local producers. One of the biggest producers of local ink “Danesh” also gives technical support to their customers in case of any problem. According to the market information main drawbacks of local production in Bangladesh is the lack of sufficient capital for expanding business and high interest rate against taking bank loan. Very recently Nishan Paints owner has withdrawn his capital from Crown ink limited and established his own business. Thus, it can be assumed that competition is strong in local ink manufacturing business and the local producers have confidence that this sector will grow rapidly in near future. Berger Paints will get a good business opportunity by entering into the Flexo & Gravure ink market through establishment of its own production facility. To derive the market size of Flexo ink in Bangladesh, four segments have been considered. Import by traders for supplying to packaging industries and cement pack printing plants. Direct import by packaging industries. Direct import by cement pack printing plants. Combined volume and value of these four segments will give the market size of Flexo ink within the scope of our study. The study covered 5 local producers of Flexo ink who contribute almost all of the local production. These producers are supplying to industries and cement pack printing plants. Import volume of three importers (Traders) has been obtained. Although holistic information on this sector could not be obtained, Information from industry insiders suggests that these importers cover nearly 60% of the import of Flexo ink by the trading business. The study covered almost 80% of the direct import by the Cement industry for its own packaging material plant. The study directly interviewed representatives of 7 packaging production companies and collected information on ink requirement of 4 other packaging companies. The combined contribution of these 14 companies is around 60% according to industry representatives. There has been a massive increase in the use of Flexo ink over the past five years and there is every indication that this will continue. According to Monir Hossain, CEO of Danish Private limited, the use of Flexo ink would increase 25% in Bangladesh in next 5 years and according to Biplob Dey, Manager (Sales and Marketing) of Access BD (Importer) the use of Flexo ink would increase 15%-20% within next five years. In this segment, the study covered the import of Flexo ink by traders for supplying to local market. However it was difficult to identify such importers/ traders exhaustively. Moreover, most of the import is directly done by the end users like packaging companies and cement manufacturing companies who have packaging facilities. Only a few traders are directly importing the ink and selling it to the local market. Some industry insiders have mentioned that that there would be around 8 to 10 importers who are importing Flexo ink for trading purposes only. From packaging and cement companies, the three largest traders could be identified and they were interviewed. The packaging companies & cement companies buy from them in case of shortage in their own stock. There are several ink brands are getting used in the Flexo ink among them Toyo ink from Singapore is the major one after Micro Ink. Danesh from local is in the third position. Local manufacturers are still behind and slowly but surely they are gaining more market day by day. One of the major uses of Flexo ink is in the cement industry. Cement Bags manufacturing plants use a good amount of Flexo ink every month. In this study, Flexo ink consumption by Cement Company, from local producer and from imported ink have been explored. There are around 33 cement companies in Bangladesh, a. Among them, some of the cement manufacturers have their own bag plant, like Seven Circle Cement, Shah Cement, Premiere Cement, Fresh Cement, Bashundhara Cement, Tiger Cement (Madina Group), Akij Cement. Among these, “Seven Circle Cement”, “Tiger Cement (Madina Group)”, these two company manufactures cement bags for some other cement companies as well. Along with that, some of the normal packaging companies like “Bengal Poly and Paper Sack Limited”, “Khan Brothers” etc. manufacture bags for some of the cement companies. Different packaging companies manufacture cement bags for some of the cement companies. We have found Khan Brothers, Bengal Poly and Paper Sack Limited manufacture cement bags for some other cement companies. Besides these, we have also got information that some of the very little packaging companies manufacture cement bags for some less demanding cement companies on order basis. According to our research, the yearly demand of these packaging companies for the cement bags is approximately 15-20 Ton/year. In the cement industry, packaging is not their main concern. So, they are not that much conscious about the quality of the ink. According to the local ink users’ description, there is not much difference in the quality of the ink. At past, the cement industry totally depended on the imported ink. Newly setup plants are using local inks. The cement companies are using bonded warehouse facility, the price of imported ink by the cement companies is lower than price of the local ink is higher than the imported ink. As the cement industry is growing rapidly in our country, not all of the cement companies are getting the facility of “Bonded Warehouse”. So, they are buying the ink from the local producer. The ratio of the imported ink and local ink usage in this industry shows us a sharp shifting of the industry towards the local ink from the imported inks. Market survey showed that a small number of local ink producers are producing Flexo ink in Bangladesh. The study collected a list of 15 Ink producers in Bangladesh from the raw material supplier for ink. Among them, only 5 ink manufacturers were producing Flexo ink. They directly deliver their ink to the packaging companies’ production plant. They have expert technicians those do the formulation of thinner for the packaging companies so that thinner works well and it keeps the ink away from dry out. In the study, 11 packaging companies were covered that are using Flexo ink for production of packaging. Flexo ink is used in printing on Wpp bag, Builder bag, Box Bag, Bale Cover, packaging for Poultry feed, Textile, rice, Bopp Rice, Fish Feed, Fertilizer etc. The packaging companies directly import the major portion of their requirement of Flexo Ink. From the BGAPMEA, a list of 1300 packaging companies was obtained. These included companies involved in various types of packaging using Gravure, offset, Flexo inks and it was not possible to narrow down which companies were involved in Flexo printing in particular and their scale of operation. From a source, it was found the WPP bag producers will be around 40 to 50 in the country. However, information from Flexo ink producers and BGAPMEA representatives indicated that the 11 packaging companies under the study contribute around 60% of Flexo printing in the packaging industry. Gravure ink is used vastly in Bangladesh for packaging materials of consumer products that produced by big consumer companies like Unilever, Nestle, ACI, Pran, etc. Gravure ink is used to print on polyester sheets of different types- PP, LDPE, HDPE. LLDP, BOP. These packages are used for dry food items, washing powders/detergents, non-food items, pharmaceuticals, cosmetics, chemicals. Reverse lamination printing is used for foil packs, or three-layer/ two layer packs, Gravure printing ink is used. Reverse lamination printing is being done by around 25 companies; among these 9-10 are large scale, while rest are medium and small. Gravure ink is also used for surface printing on single layer polyester packaging. There are around 45- 50 established packaging manufactures who use Gravure surface printing. Moreover there are 700-800 entrepreneurs who are involved in packaging production using Gravure printing. This is an informal sector which operates illegally, without government regulatory and environmental permits. These businesses do not have full printing set-up, rather they share their resources, and around 7-8 of them would share machinery like one composite unit. Thus, total output of this sector may be considered as that of around 100 small scale printing units. There are no exact information about the numbers of importers, traders of Gravure ink as there is no list, association of them. From the packaging companies we have come to know about 7-8 traders among them we have interview only 1 which is the most famous in the printing and packaging ink world. The trader name is Comilla Hardware who have all kinds of ink including Gravure ink. Comilla Hardware is importing mainly from Singapore, Hong Kong, India. The brand name is Toyo ink and the thinner is Leeted and they also import DIC. PET from Singapore. They import Micro Ink, Koushik from India. Sakata from Hong Kong. They are importing Flexo and Gravure. No offset at all. They need to pay total 310 for Flexo and 380 for Gravure per kg ink. Selling price is higher than that. There are 7-8 importers of ink in Bangladesh but none of them are big like Comilla Hardware. What they said that, their sales has gone down to 10% due to the local ink manufactures like Danesh, Nahar, Nebula. Some companies used to take ink from Comilla but now they don’t as they getting less price from the local ink manufactures. According to Nazrul Islam their quality is not like the imported ink that they sell. Total consumption of Gravure ink in whole Bangladesh is around 8000 to 10000 ton/year. Gravure Packaging Company is around 100-110. According to the MD Mr Nazrul Islam it’s a growing industry but very Competitive. Price is the biggest factor here. Quality doesn’t matter for many packaging companies. According to the proprietor of Comilla Hardware they import ink from various countries of the world for example, Singapore, India, Pakistan, and Japan. Most of the ink they import mostly from Singapore toyo ink. According to the website of Toyo Ink there are 7 types of surface printing Gravure ink and PMG is among one of them which Comilla Hardware import the. Recently their sales figure has gone down due to the local producers as many small companies are buying ink form the local manufactures and the quality is not good as the imported ink and they cost slightly less than the selling price of Comilla Hardware. There are imported ink brand and as well as local ink brands. Most of the packaging companies are using imported Ink. Among the imported ink toyo from Singapore is the most popular among the packaging companies. It is the most consumed brand in Bangladesh after micro ink from India. From local manufacturers the brand which is most popular is Danesh as they have technical support fort the consumers. Nahar, Nissan is also doing very well in the market from local brands. Akij Nebula is also a very good quality brand from local and according to the Super Thai plastic Limited’s Kamal Hossain, Nebula Ink is as good as toyo ink in terms of quality. Reverse Lamination Gravure Printing Units: reverse lamination printing is used for multi layered packaging items, where Gravure printing is done from the inner or reverse side of the lamination surface which is then attached to the inner layers. Foil printing, LPDE, HDPE, BOP etc. are the surfaces. Around 25 packaging printing agencies are involved in reverse lamination printing. Out of these 10-12 are large scale, the rest are medium and small. Among them the most mentionable are, The Merchants, Arbab Poly Pack Ltd, Famous Printing & Packaging, Premiaflex etc. Surface Gravure Printing Units: Surface Gravure printing is done on the outer surface of the polyethylene or poly propylene film, usually these packages are not multilayered. Among the packaging companies are involved in Gravure surface printing, around 50 are formal organized setup. Among them most mentionable are, Super Thai Plastic Limited, Navana Printing & Packaging Ltd, and Ekota Enterprise etc. Informal Sector: There are a number of proprietors who are involved in printing packaging materials for local FMCG items. However this is an informal sector, these businesses do not have business license, environmental and industrial permits from the government. Thus these businesses are operating illegally. Moreover these businesses do not have compact set-ups, rather they collectively share their resources to keep investments at a low level. For example, one entrepreneur has sealing machine, one has cutting machine, one has printing machine etc., and they are sharing these resources when any of them are getting orders. There are around 700 to 800 such informal units operating in old Dhaka (Lalbagh, Urdu Road, Islambagh), however it would take resource sharing of 7 to 8 units together to work as a complete set-up. Their machineries are located in private households, hidden from the government regulatory bodies. Unauthorized production of plastic items is strictly prohibited under law and such businesses have to meet a number of industrial, environmental and safety clearances in order to operate legally. Thinner market is an integral part of the “Flexo and Gravure Ink” industry. There is a combination in the mixing of the ink and thinner. So far from our study we have found that the use of thinner is more than the ink itself. For solid ink the ration varies from 1:4(ink: thinner) to 1:2. For type ink its 1:.5 to 1: 1.5. The most popular thinner brand among the packaging companies are Leeted and Riverbank from Singapore. Local manufactures are way behind the imported thinner as there are no local thinner manufactures so far which has a significant market share. 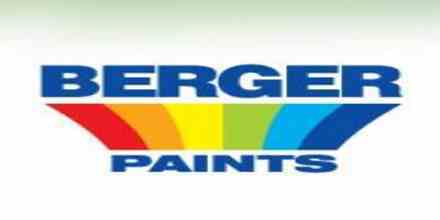 Berger Paints Bangladesh can take this opportunity to expand their business. From our study what we have found so far that the Flexo & Gravure market is huge and it will continue to grow in the future as well. There are some small packaging companies who doesn’t care about the quality of the ink but most of the other packaging manufacturers want good quality ink which is not available in local. So BPBL can take the opportunity to manufacture ink and fulfill the needs of the local as well as creating a new market from themselves also.